Looking for paper bag craft ideas to make with your kids? 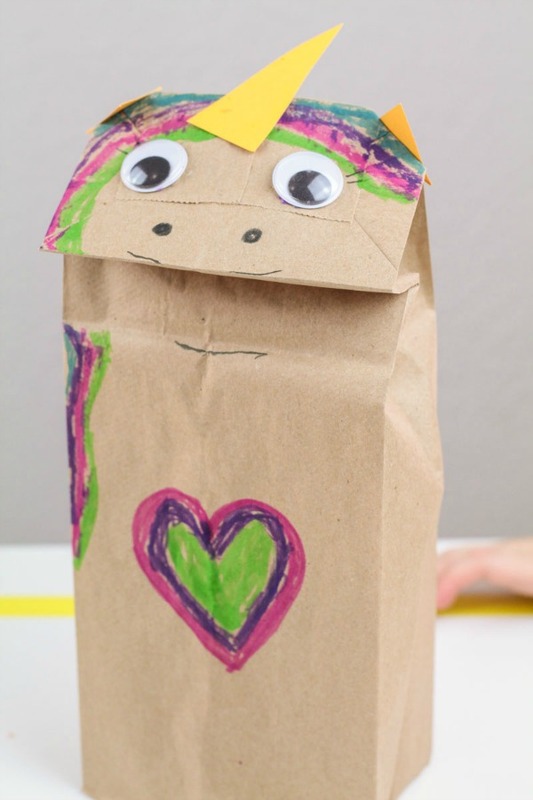 Have a magical afternoon with this fun and easy Unicorn Paper Bag Craft. 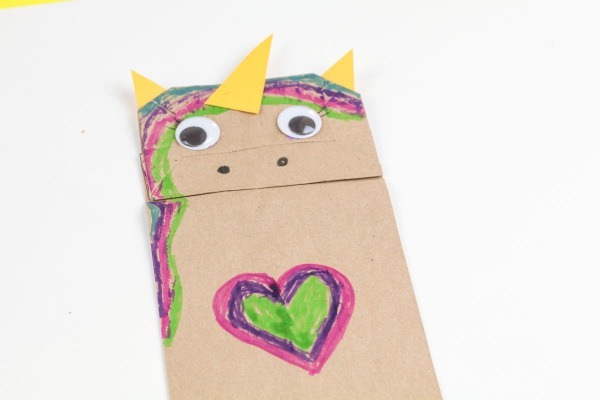 It's perfect for preschoolers but all ages can create their own paper bag puppet. 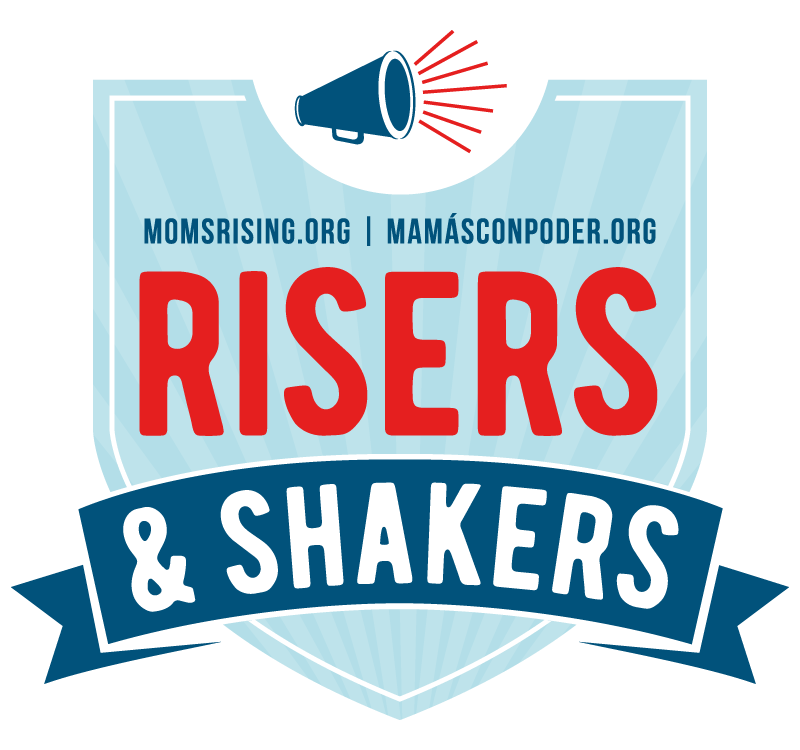 Makes a great art center activity plus kids can use it for pretend play too! 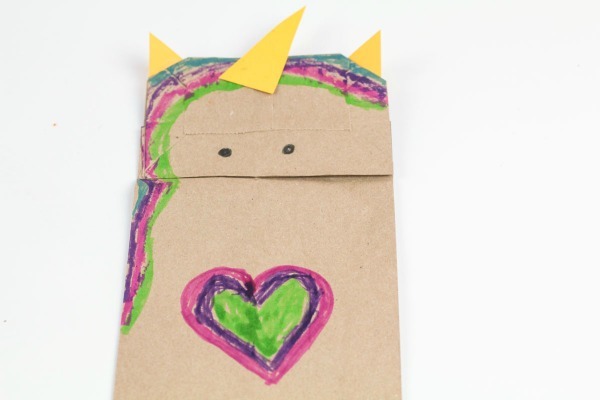 Kids who love unicorns will have tons of fun making this simple paper bag unicorn craft! 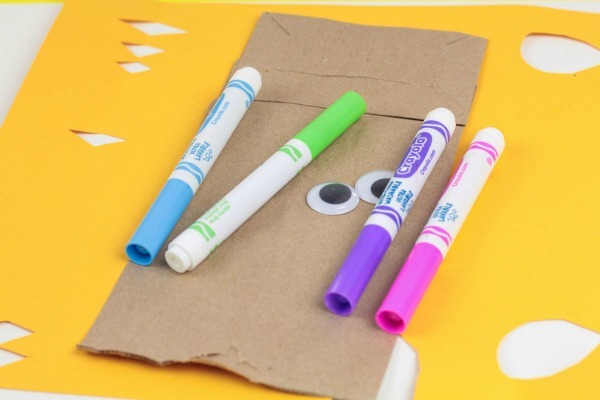 All you need for this activity is large googly eyes, a paper bag, some yellow cardstock paper, and some washable markers. Kids will have a blast creating their own unique unicorn designs. I love that paper bag crafts like our Wonder Woman Paper Bag Puppet Craft require very little prep. Whether you pre-planned this activity or not, you can easily gather your supplies before starting. First, glue on the googly eyes to the front of the paper bag as a reference. You can glue the eyes on last if you want (as our pictures show), but to make sure the mane and horn aren't too low you may want to glue your eyes on first. Add two dots for a nose near the mouth of the unicorn. Add a smile to the puppet face. Draw on the unicorn mane with colored markers. They can use any colors they like. We love flowing rainbow manes! Draw an accent design on the front of the unicorn puppet. Fold down the top corners of the paper bag. Cut two triangles for ears and glue to the folded corners. Cut out a large triangle and glue it to the center of the unicorn’s forehead to complete your unicorn puppet. Encourage creativity by setting out supplies as an invitation to create. Let kids' imaginations run wild as they design their unicorns and engage in pretend play with their homemade paper puppets. If your child loves craft projects, consider surprising them with a monthly craft box like this one. 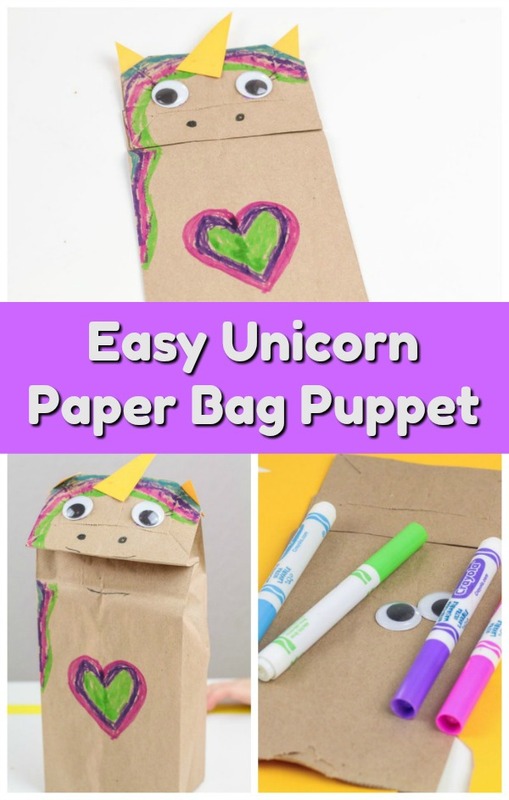 This Unicorn paper bag puppet is fun and easy to do for an art center at home or in the classroom. It also makes a great craft activity for a play date or birthday party too!